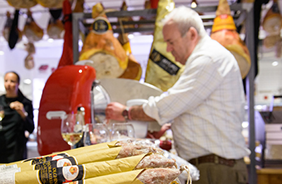 At Eataly we are determined, in love with high quality foods and drinks. We think that transforming this passion into our job has improved the quality of our life. We believe that good food unites people and that bringing good clean and right products to our clients’ tables is a way to make people happier. But we will not settle for this. We also want to spread the culture of high quality Italian food and drink culture. Because a pinch of extra knowledge makes everything better. If you also think that dedicating your work to the Italian excellence is a way to improve the quality of your life and that of those around you, join the world of Eataly.